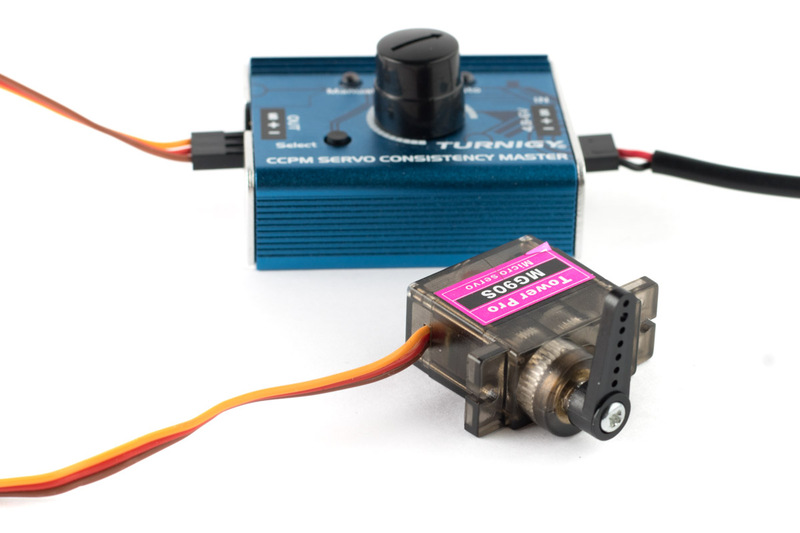 Servos have a limited range of motion, typically somewhere between 120° and 180°. Because of the built-in potentiometer, they "remember" their position, even when they are turned when they are not powered on. 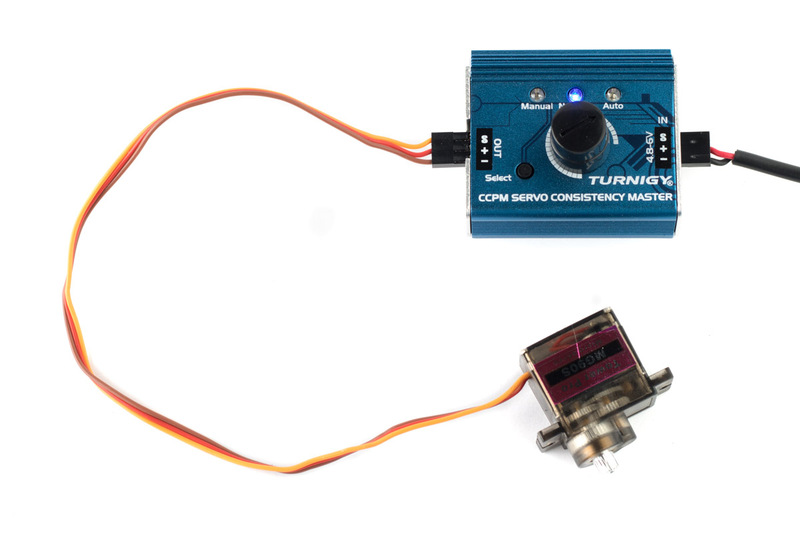 For these reasons, it is necessary to center a servo before it is attached to a mechanism. This process puts the the servo in its neutral position. This page describes how to achieve this. 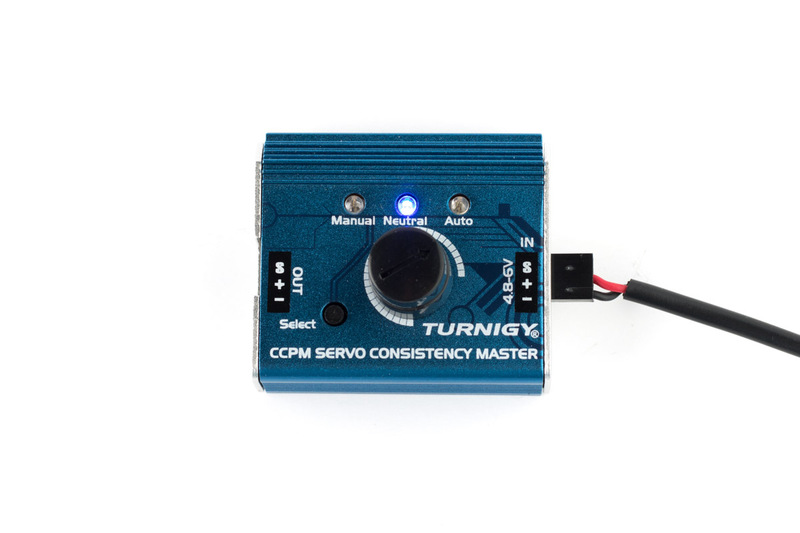 You will need a suitable 5V power supply with a 2-pin DuPont connector to power the servo tester. If you have a lab power supply available, you can use that. 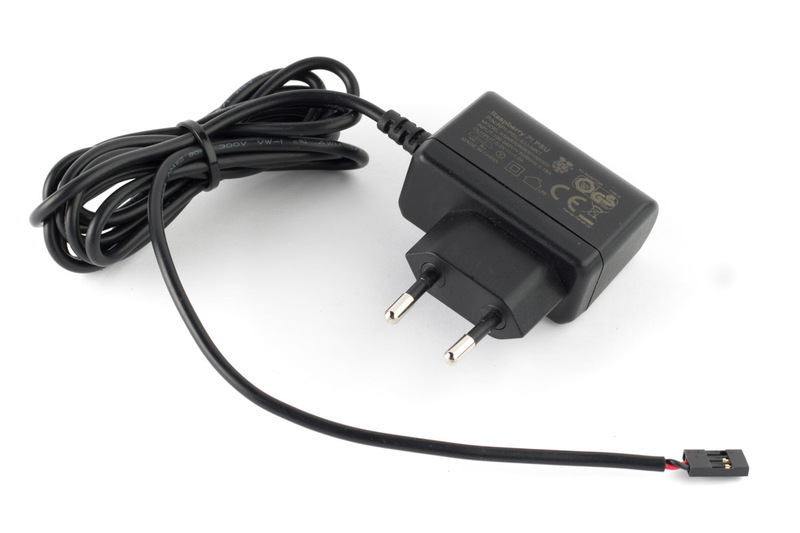 Another option is to use an old USB power supply. Cut off the micro USB connector, strip the leads, and attach a DuPont connector. 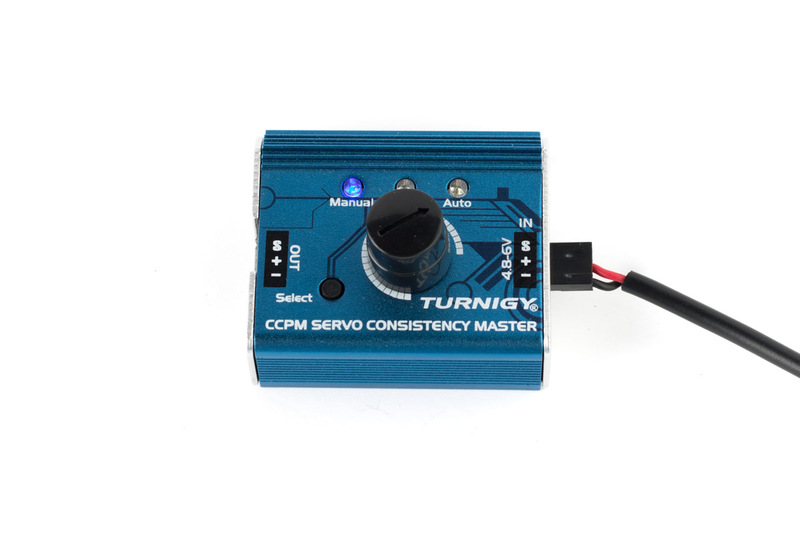 Attach the power supply to the power input of the servo tester. Mind the orientation of the connector. The red wire should be connected to the + pin, the black wire should be connected to the - pin, and the S pin should be left unconnected. Press the select button once to put the tester in neutral mode. Mind the orientation of the connector. The brown wire should be connected to the - pin, the red wire should be connected to the + pin, and the orange wire should be connected to the S pin. Optional: Now that the servo is in a neutral position, the servo horn can be attached.